There is an exhaustion that comes on rather suddenly during pregnancy. It feels as though it is coming from deep inside. Most likely because it is. There is a mind-numbing exhaustion that comes during infancy. It no longer takes much imagination to understand why sleep deprivation is an effective torture technique. And there is an ongoing exhaustion that lasts, it seems, throughout motherhood. But none of that comes close to the fiercely-gripping nearly-paralyzing exhaustion of parenting a child with special needs. Fighting with the insurance company. Making certain meds are given on time. And more. So. Much. More. 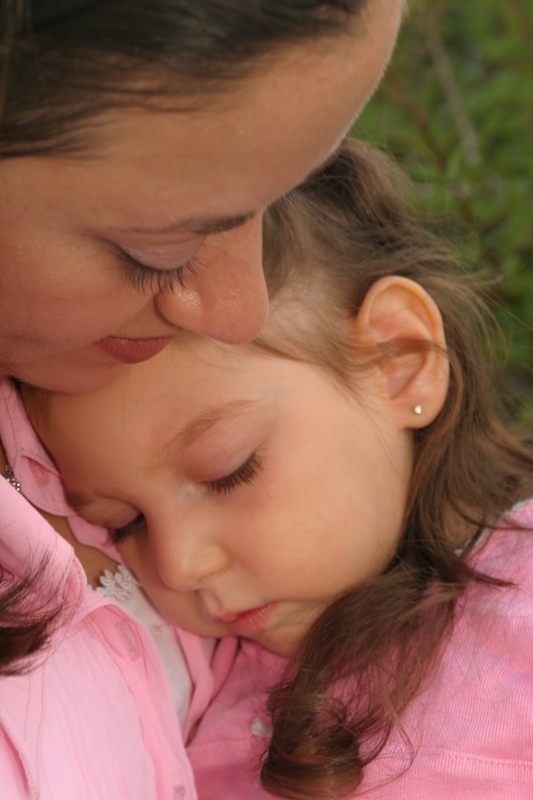 For the parent of a child with special needs, it is first thing on the mind upon waking. And the last thing before falling into a desperately-needed, but often elusive, sleep. The need for respite is great. But in order for it to happen, the parent must be confidant that the child receives care from trained individuals. Which means, of course, that it doesn’t happen often enough. R’fua V’Chayim is a non-profit organization in Israel that provides respite for parents by holding regular Shabbatonim (Shabbat retreats) for special needs children. Trained counselors and medical staff provide round-the-clock care in a rich, Jewish environment. The children return home to parents and family members who are refreshed. The program was a godsend to Faigie Grunberg, whose daughter, Daniella Meira, z”l, was a quadriplegic and had cerebral palsy. When you’re raising a disabled child, you don’t have a second to breathe. Your every moment is dedicated to making sure she’s alive, healthy and comfortable. When someone reaches out to you and helps ease the workload, it refreshes you so that you can keep going. Since Daniella Meira’s death in 2007, at the age of seven, Faigie has sponsored a Shabbaton in her memory. With the annual Shabbaton just a week from now, there is still time to donate and give the gift of respite to those who sorely need it. Refua V’Chayim is a registered Israeli charity; funds collected through the site (www.daniellameira.com) go directly to Refua V’Chayim’s PayPal account. Blessed is the One who grants strength to the weary. How can I get more information about getting my daughter into the program?